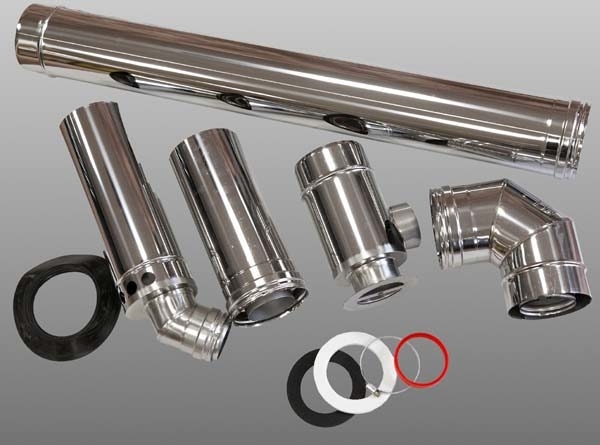 This High Level Flue Kit has a diameter of 150mm or 6". It can be used with Firebird condensing oil boilers, where appropriate. 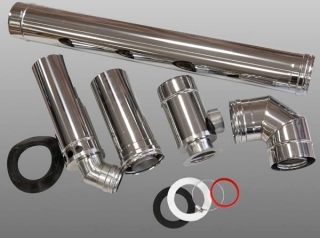 The flue kit is made of high quality stainless steel and ensures optimum boiler performance. Horizontal Terminal 20-35kW = 500mm fixed, 44-100kW = 300-500mm Adj.